7 June, KiLGA Office – The Member of Parliament from Maiana, MP Kaure Babo, visited KiLGA’s office, accompanied by one of the Councillors from Bubutei South Ward, Cllr. Taraniman Areieta. The MP and Cllr. 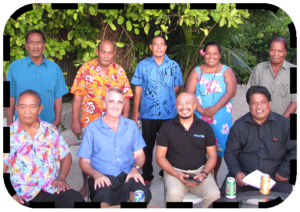 Taraniman made a request to KiLGA to visit their island and provide capacity building for the newly-elected Council members on their roles and responsibilities, especially those that would assist with the development of the island. 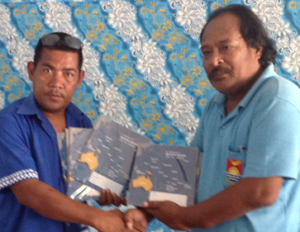 The Executive Office of KiLGA thanked the MP and Councillor for their request and informed them that capacity building for Council leaders is a very important part of KiLGA’s roles and that funding will be sought to allow for the training to take place in the near future. 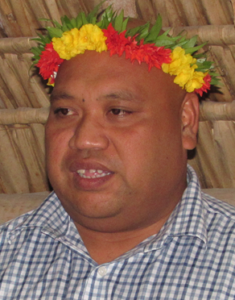 On 21st of June, 2017, Mayor Rakunoua Tiota, passed away from an illness, at the Nawerewere hospital. 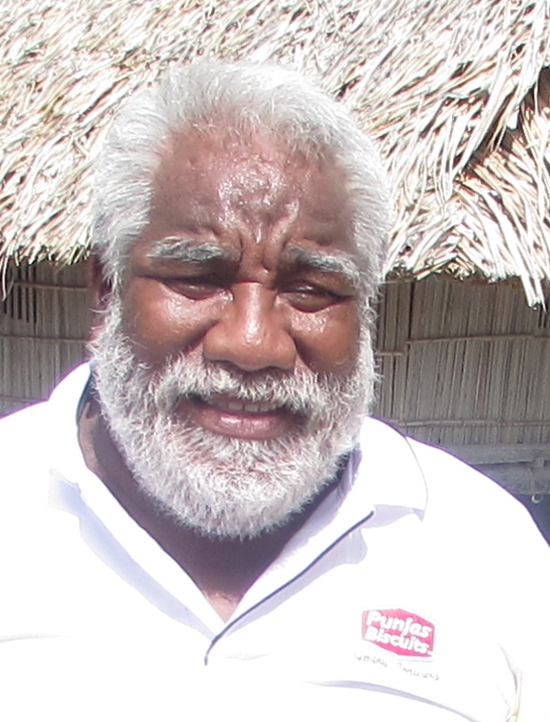 The Mayor was into his second terms as Head of the Maiana Council. 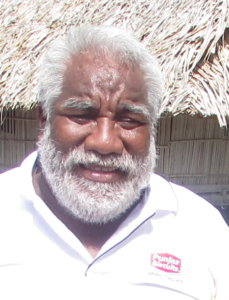 A special flight allowed his body to be returned to Maiana to be given a proper traditional funeral among his people and to be buried in his home soil. Rakunoua Tiota, was born on 20 August, 1959, on Maiana. He had his Primary education at Tion Otang Primary school on the island and, from 1972, attended SDA Kauma High School on Abemama. He started work as a Policeman from 1976-81, then an Assistant Treasurer for the Maiana Council, later moving up the position of Deputy Clerk. 6th June, Mayors Office, BTC – Neeti Tekinene, on behalf of the BPA, donated books to the Betio Town Council Mayor, Tauia Viane Taoaba (pictured). The books included printed and exercise books. The Betio Joint-School Committee, comprising all schools on Betio have agreed to give these to St. Patrick College. 14 June, 2017, MIA, Bairiki – The Urban Management Unit of the Ministry of Internal Affairs (MIA) held a one-day workshop involving various government ministries, SOEs and selected Civil Societies, to formulate the first National Urban Policy. The workshop was facilitated by Ms. Charlene Liau, an Australian Technical Advisor volunteer and Eliza Tokataake, the Urban Management Officer. The objectives of the workshop were to identify the urban development priorities, provide guidance on future developments and produce a framework on better coordination of investments in urban areas. The participants showed great interest and were able to identify priority urban issues and match them up with relevant strategies to tackle and deal with them. The National Urban Policy is an action assigned to MIA under the Kiribati Development Plan (KDP) 2016-2019 and listed under Key Priority Area 4: Environment; Outcome 6: To improve the quality of environment in urban areas. The KDP requires the National Urban Policy to be approved by Cabinet by 2018. 22 June, Antenon – The KiLGA’s Executive Board hosted a dinner with the new Minister for Internal Affairs, Hon. 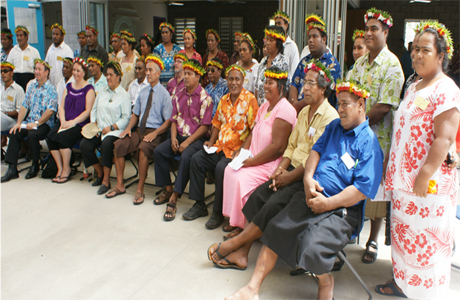 Kobebe Taitai at the LMTA’s Koakoa Restaurant, jointly-funded by LMTA and KiLGA. The meeting was attended by key partners of KiLGA, who were asked to use the opportunity to get acquainted with, and brief the new Minister on their policies and activities. 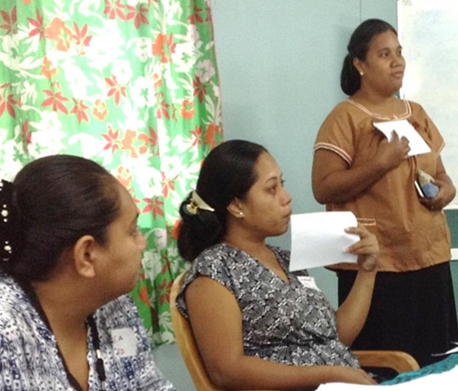 The partners included LMTA, UNICEF, ChidFund-Kiribati and PIPA Trust Fund. 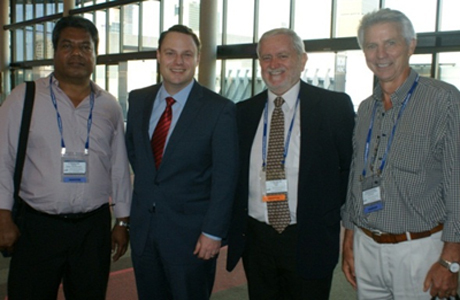 LMTA, the only private sector partner, with the longest partnership with KiLGA extending to 2012, was represented by the Managing Director, Louisa Teaotai and Tato Murdoch. UNICEF was represented by Mr. Cromwell Bacareza, Head of the UN Joint Presence Office and Chief of UNICEF’s Field Staff. ChildFund-Kiribati was represented by its Country Director, Rick Steele, while the newest partner, PIPA Trust Fund, was represented by its CEO, Mr. Nabuti Mwemwenikarawa. 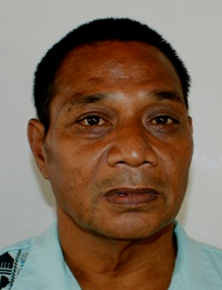 Mayor Eribati Totibau (pictured) was born on 10th July 1969 at Takaeang on Aranuka island, where he grew up as a boy. When he was 21 he left to Banaba with his Banaban wife Nei Boueri Tonana where they decided to set up their home. 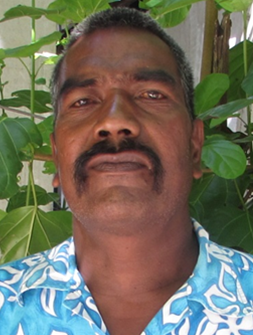 Eribati was already a skilled fisherman and family man when he began life on Banaba where food shortage is common. He soon learned the need to plant his own coconut trees and use the wealth of the land and sea wisely. In 2006, he was appointed the Village Warden for Umwa Village with the Banaban Island Council, a position he held for ten years, until he was appointed to the position of Council Storeman, in 2016. In late 2016, he ran for the Council seat for Umwa village, on the encouragement of his colleagues and supporters. He easily won that seat. Few months later, he ran for the position of Mayor, and again, easily won the election. Eribati is a popular community leader, who is more well-known as a Youth Leader (te Roro) for many years. 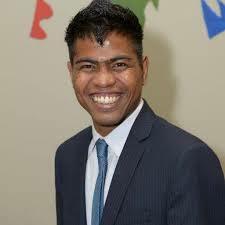 He has also been appointed to the Committee in charge of the Council’s Canteen that provided much needed food items for the Government and Council staff as well as the general public on the island. Mayor Eribati and his wife Boueri have three daughters and two sons. They also have grandchildren. 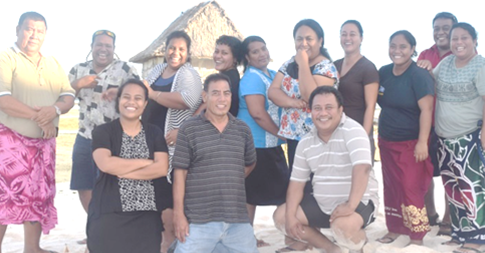 5 May, KFHA Office Teaoraereke – Like-minded NGOs benefit more if they work collaboratively and organise forums to discuss common issues. This was the sentiments that came out of a half-day forum attended by representatives of the Kiribati Family Health Association (KFHA), Kiribati Youth Initiative Association (KYIA), ChildFund & KiLGA. The four NGOs are registered Incorporated Societies, work closely with communities and are focused on improving the conditions of children, youths and the communities. One of the outcomes of the meeting was to make the forum an annual event and to invite other related NGOs to join. Support for each other was another key message, as was the development of the Creative Cultural Tourism that will provide cultural tours for visitors by local youths. 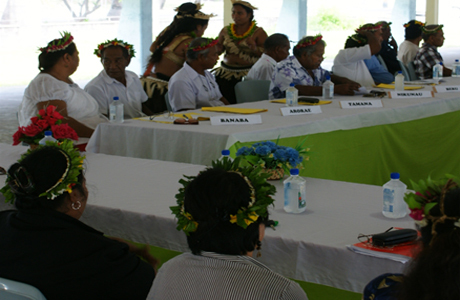 May 4, Abatao, North Tarawa – The Anti-Corruption Committee held another retreat at the peaceful Tabontekeke Motel in Abatao to finalise the National Anti-Corruption Strategic Plan, sponsored by the UNDP/UNODC and the Public Service Office (PSO). The Committee comprised reps from all key government ministries, SOEs and the private sector. The Committee will act as a watchdog on corrupt practices in the civil service, Councils and the private sector. They will also spearhead the implementation of the Strategic Plan. “Fighting corruption is everyone’s business and we expect all institutions to use their own resources in implementing the activities,” said the Chairman. The Strategic Plan has seven sections including, Professionalism, Integrity and Transparency in the Public Sector; Institutional Capacity Building; Public Finance, Management and Procurement; Criminalization and Law Enforcement; Public Awareness & Education; Legislative Reform; Fighting Corruption in the Private sector; International cooperation and Asset Recovery. KiLGA joined the Committee in 2016 and will work together with MIA and other Ministries, to implement activities such as public awareness on anti-corruption, to Councils and their communities. May 2, 2017—The Vice Mayor of Tamana Island Council, Sene Ribanti, visited KiLGA and sought assistance on how to make a Strategic Plan (SP) for his Council. This was very much welcomed by the KiLGA staff who immediately organized a special workshop for him at the Association’s office. The Vice Mayor was briefed on the main components of a Council’s Strategic Plan, including Vision, Issues, Objectives and Strategies. One of the common tools in making Strategic Plans, the SWOT Analysis, was also explained and consolidated with a practical session on carrying out a SWOT. The Vice Mayor was happy to learn a new skill that would make him more active during Strategic Planning workshops on his island. January 30, 2017, UNJPO, Tekabutikeke—Operation Phase Six of the Global Environment Facility Small Grants Programme (GEF-SGP), was officially launched, at UNICEF Kiribati Field Office/UN Joint Presence, Bikenibeu, Tarawa. The newly constituted National Steering Committee of the Kiribati Small Grants Programme marked the occasion with the launching of the Kiribati Country Programme Strategy for GEF OP6. The event also marks the beginning of a full SGP Country Programme for Kiribati from its former sub regional programme status. National Coordinator of the Global Environment Facility Small Grants Programme, Dr. Komeri Onorio, says that the SGP programme provides support to community projects that conserve and restore the environment, while enhancing people’s well-being and livelihoods. “The uniqueness in the implementation of GEF Small Grants Programme is that GEF funds are directly channeled to grantee communities to implement own projects” he added.